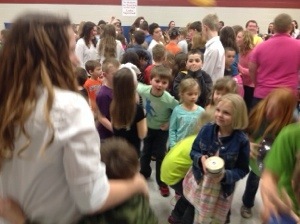 Last Thursday, the South Huron District High School Band came to perform for us!!! It was super exciting to see what we can do when we get to the higher grades. It was pretty interesting to hear the bands because some of the intermediate students had never played before and they sounded great. Who knows what we can learn in the music program! 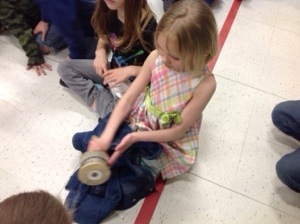 We learned about some of the different instruments and what they sound like. We even saw some of the teachers dance!! 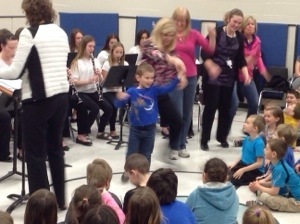 Some of us had the opportunity to play some of the percussion instruments to help the band and we were able to dance.